Dyke March 2014. Photo by Corbin Smith. 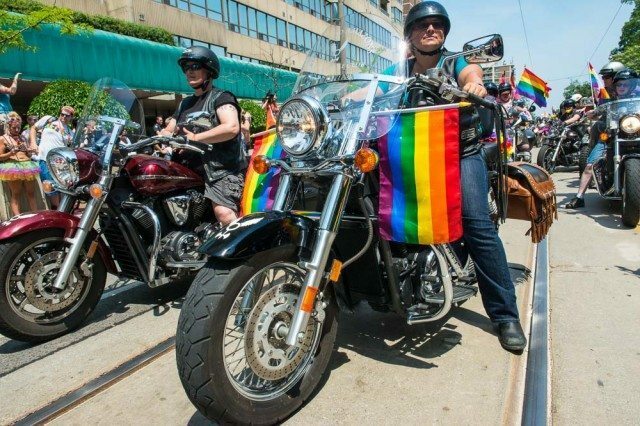 WHAT: Part celebration, part demonstration, the 2014 Dyke March brought together lesbian, bisexual, and queer women for one of Pride’s key events. Participants gathered at Allan Gardens to make signs, and thousands more joined them to make noise at a pre-march rally. The march itself featured the usual mix of flashy costumes, rainbow flags, and of course, motorcycles. Click through the gallery to see the highlights.